I have been venturing to the many pubs of Cardiff for twenty whole years now and decided it was time to list my current favourite pubs, mainly in Cardiff West whilst trying not to cover the City Centre scene too much. I’ll try and unearth a few relatively unknown pubs and some others that serve up some great grub and beautiful beers. The list is in no particular order but just some of my favourite drinking establishments within the fantastic City of Cardiff. Click on the pub’s name to visit the google page showing, location, website, photos and all details for each establishment! 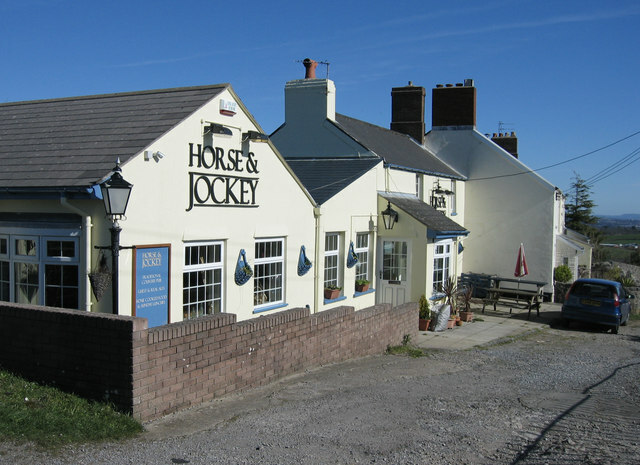 Horse and Jockey, Twyn-Yr-Odyn, nr Culverhouse Cross/Wenvoe. The Horse and Jockey pub is located just up from Culverhouse Cross and Wenvoe in a place called Twyn Yr Odyn and is essentially about as close as civilisation gets to the Wenvoe Transmitter. 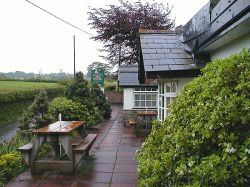 The pub is located high up on the hillside and offers a wide vista across Cardiff and The Vale of Glamorgan. There is a large car park and two small outside drinking areas. Inside the pub oozes traditional boozer at you without being over the top or non-authentic. The main bar area is pleasant enough with a range of chairs and a sofa area with another area more suited to dining as the tables are a bit higher! It’s usual pub grub all the way but does get extremely busy – especially at weekends so sometimes its best to pre-book or pre-order the food if in a hurry. Always a warm friendly welcome. Well worth a visit on the way back from Barry or a weekend drive around The Vale! The Green Down pub is one of those pubs you suddenly arrive at by mistake and then find it difficult to ever locate again! Head towards the road that connects Culverhouse Cross to St Fagans (Michaelston Road) and then turn off for the “The Drope.” Meander up there for about 5 minutes and after some bendy, winding roads you discover this amazing pub. Next to the big car park are some small hotel rooms which are bookable via their website. The pub itself is totally oldskool and dates back to 15th century! The pub seems to have had various extensions on the extensions over the years and now houses some small drinking areas around the bar and a large dining area around the back. One thing to watch out for are the low ceilings and wonky floor (original features you see!) I usually keep the thumping head for the day after drinking not WHILST im drinking! Really good quality pub food and the Sunday roast dinners are well worth going for. Really good service and a great selection of desserts aswell. Just make sure once you do find it – you put in your sat nav or mark that map! Well, where on earth do I start with this suburban-boozer!? It’s known locally as ‘Celebrity Gold” due to the high amount of tv, media and sports people that attend the pub. 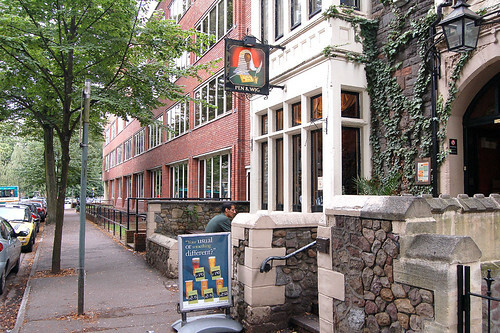 The pub used to be co-run by Charlotte Church’s parents, but now having moved onto other businesses they still visit the pub on a frequent basis. But essentially it is the amount of characters that frequent this pub that make it the great pub it is. Dont substitute characters for weirdos either! Ok, some of them are a bit weird but we’ll gloss over that for now! The pub has a large south-west facing front garden which catches some half decent rays and then an even bigger back garden complete with boules area, barbeque and large heated smoking area! The pub has recently completed a mini-makeover, where its the usual pub decor but with the added splendor of signed pictures of Welsh Celebrities hanging on every wall. Im sure there’s a few faces up there that you didn’t know were even welsh!? I hear the Katie Price signed photo is in the post as I type. Chris Moyle’s has presented his Radio One Breakfast Show from the pub where it seems to attract a certain type of celebrity! Johnny Vegas was hilarious doing karaoke one night as was Will Young and others! Thursday nights it’s over to Quizmaster Madge for the most entertaining quiz ever! Not only do we guess the answers – we guess the questions aswell! I havent sampled the food in the pub for ages now so cant really comment on that side of things! A varying range of ages, people and backgrounds venture to this pub but that’s what makes it so great. Always a good night guaranteed! The busiest pub in PontCanton on a Sunday night! If im not mistaken im sure they even had widescreen tv’s in the beer garden showing sports last year – did I mention what a great beer garden it had aswell? Well this is another little Brains pub gem. Located on first part of Cardiff bay to be developed – Atlantic Wharf – which was built in 1990 right next to the waterside. Being a Brains pub they serve the usual range of beers and lagers but what is special about this pub is the external area which is surrounded by water and the wildlife! There is a great vista across the Atlantic Wharf stretch of water to the towering structures of the engineering works but then the closeness of the range of wildlife nesting and living in the waters. There is an old vessel moored outside the pub (no it’s not what Sara Edwards is doing now!) Theres always something going on in The Wharf from quizzes and bands to barbeques and of course all those screens showing sport. There is quite a large function room on the first floor which is ideal for large parties and um… functions! So the greatness about this pub is that its a great stopping off place if on a pub crawl between the bay and town, has sun nearly all day, has a great outside area and decent food and drink! Happy days! Have you been to any of these pubs? Do you agree or disagree? Are there any pubs that I should know about and feature next? Part two of my next five favourite pubs in Cardiff coming really soon!